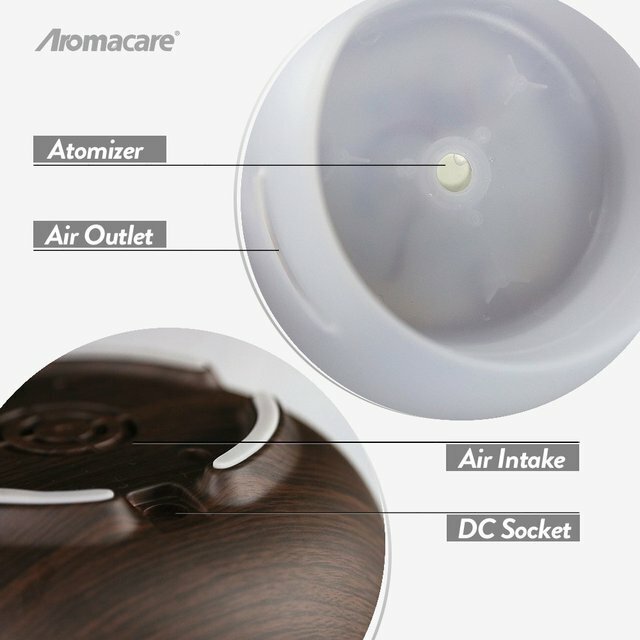 We cover the unit with a 45-day warranty and 1 year of technical support. 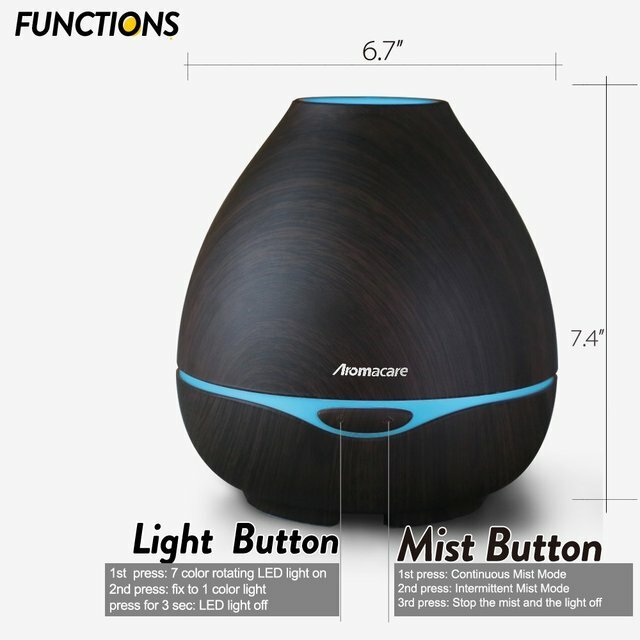 If you are not 100% satisfied with our product or service, just contact us and we are glad to help you out. 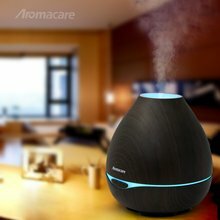 Every person who loves aromatherapy, may have experienced that: always be bothered by the unwanted noise from the aroma diffuser. Aromacare Serenity Series Aromatherapy Diffuser is here to help. 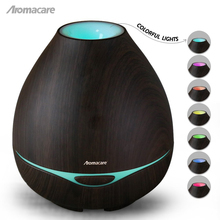 Aromacare Aromatherapy Essential Oil Diffuser is equipped with silent fan, which is so quite that you may forget it’s on .Thus, let’s invite you into this tranquility and have a sound and sweet dream, surrounded by your favorite aroma. 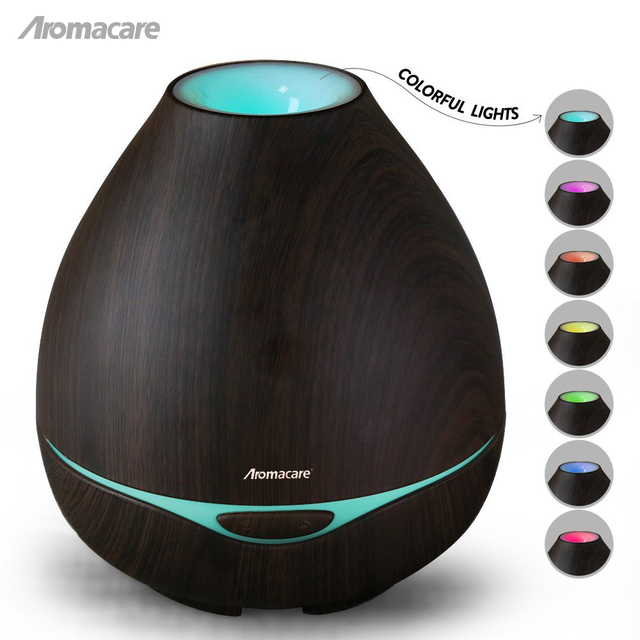 This compact and portable diffuser & humidifier is designed with finest wood look grain and goes with any décor in your home or office. 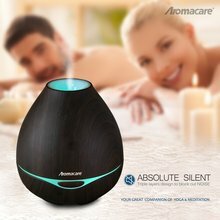 Paired with your favorite scented oil, it will turn your bathroom or bedroom into your own essential oil oasis. Just press the “Light” button to start your personal light show, and it will be a great companion of your kids at bedtime too. 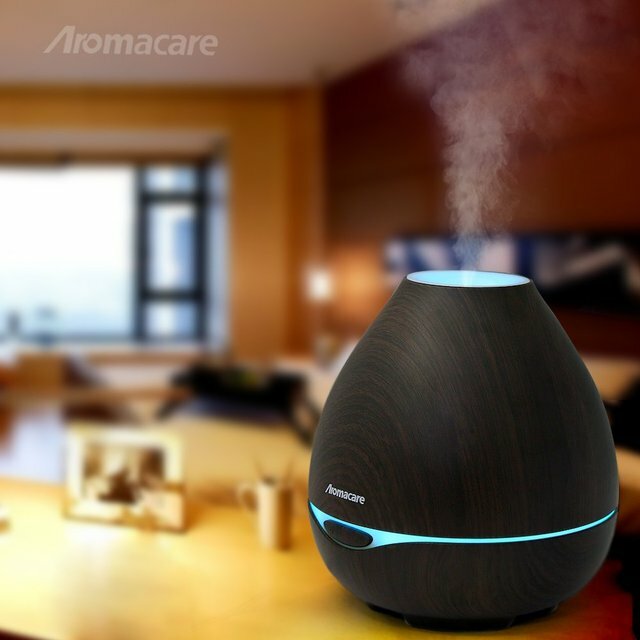 With the 400ml large water tank, the fragrance diffuser can last over 10 hours in continuous mist. You don’t have to refill it frequently. 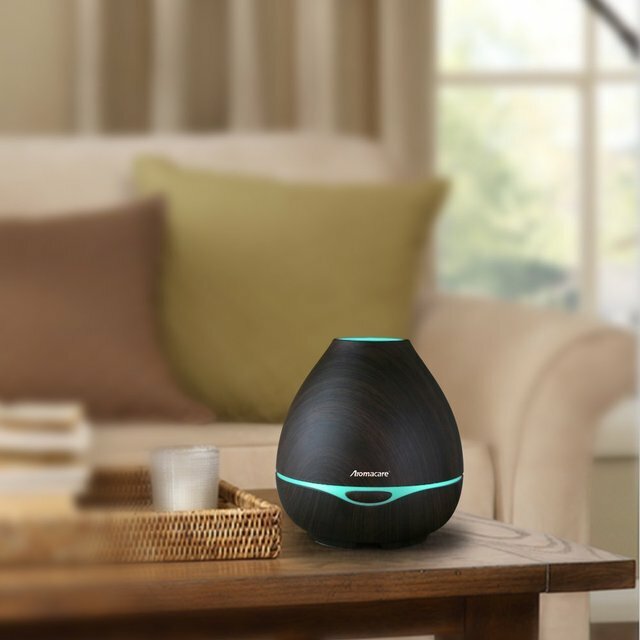 just enjoy a more restful sleep.